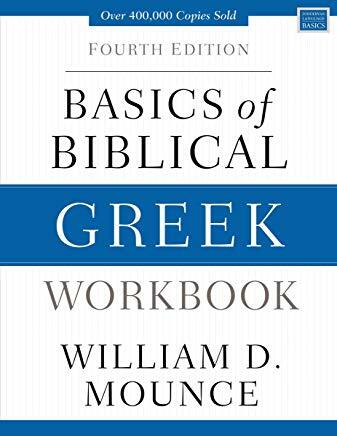 Take a Biblical Greek course taught online in a class with Dr. Klein. The class will be taught by webinar. The seminarians will be able to hear Dr. Klein teach; they will be able to ask questions; students will see slides of the grammar issues, view a digital copy of Dr. Mounce's textbook, view a PDF of Dr. Klein's Greek grammar, etc. The textbook is shown below. A Greek language class is forming, join today. First day of class on the internet is January 22, 2019 Tuesdays & Thursdays 9:15 pm, CST. A class will last for one hour. Personal time will be given to students after class, answering questions about class topics. One on one questions will be addressed by webinar, by phone, and by email. The cost is $300. per semester. The textbook will be used for two semesters. Invite your friends to study with you. By learning the grammatical structure of the Greek language found in the Majority Byzantine Greek Text, and by learning how to use the abundance of Biblical tools, the seminarian will be in a better position to understand and defend Biblical truth. Apostolic Theological Seminary will further use this new knowledge in advanced courses to better understand Jesus' Words.